Having been a long-suffering victim of poor experiences with performance on Vodafone’s data network in NZ and expensive pricing, I’ve now shifted to NZ’s third and youngest mobile provider, 2degrees. Two major incentives – firstly unhappiness at Vodafone’s 3G data performance and secondly, unhappiness at the fact that my personal telecommunications expenses are around $350 per month (welcome to NZ, land of expensive comms) and seeking to reduce these somewhat. I was originally paying $59 a month for my Vodafone service – 120mins, 250 SMS and 300MB data (although boosted to 3GB due to a grandfathered plan promotion). It was pretty good deal when it came out, I signed onto the plan when the first Android phone in NZ launched (HTC Magic) and good data plans for mobiles that didn’t cost a fortune were kind of a new thing. With 2degrees, I’ve now dropped my bill down to $39 a month, which provides 220mins, 2500 SMS, 100MB data, plus an additional 1GB data bonus for the next 12 months. There’s a bit of a loss on datacap size, down from Vodafone’s 3GB, but my smartphone and laptop use no more than 1GB all up when combined in regular use, so it’s not really going to impact me. 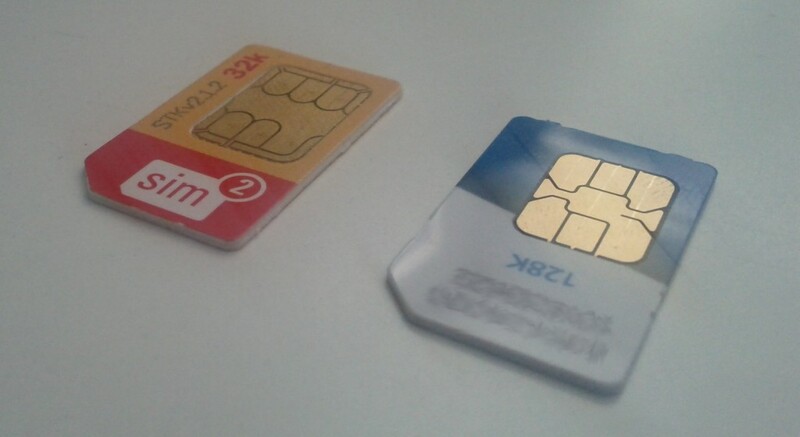 I also went and dropped the Telecom XT data SIM in my laptop – whilst convenient and bloody fast data, it wasn’t worth the cost for how often I need it – and I can’t really justify when my phone can pair and share the 1.3GB of monthly data it has. Number porting went very smoothly – after requesting the port online with 2degrees, I got a txt about 3 hrs later confirming it was complete. 2degrees even went to the effort of informing Vodafone and having them close my account which was handy. It’s been going great since, so far I haven’t encountered any cell towers dropping ~90% of packet data without anybody at Vodafone noticing yet and performance seems speedy and reliable. I haven’t gone on a rural trip since moving to 2degrees, but it should be just as good as I used to get with Vodafone, as 2degrees uses Vodafone for roaming when outside of their own network zones. Their plans certainly seem popular – I’ve had at least 2 other friends move to 2degrees, even if you want expensive smartphones, it’s often cheaper to buy the phone outright and use 2degrees no-term monthly than to sign with Telecom or Vodafone due to the savings in plan costs over 24 months, not to mention freedom and flexibility to change plans. This entry was posted in Uncategorized and tagged 2degrees, geek, mobile, nz, opinions, telco, vodafone. Bookmark the permalink. I moved to 2degrees about 6 months ago. It’s definitely cheaper… until you go over your data cap and then it gets pretty expensive. I’ve had issues using data in rural areas (which is a pain when in Paeroa and needing directions) but other than that I’m really happy – and I wouldn’t go back to Vodafone (who I was with for over 10 years) for anything. 2degrees are good about giving all their customers benefits (as opposed to Vodafone, who will only give new promotion benefits to new customers – in 10 years I never got a free phone or any special bonuses. I basically got nada but expensive bills.) With 2degrees I got the 100 bonus minutes and the 1 gig data upgrade. Essentially, it’s a good move, but yeah, the non-city thing can be an issue occasionally. Yep, I ported to 2degree’s a while back. Though next phone I get will do 850mhz UMTS and I might switch to XT, depending on their dataplans at the time..
XT is defiantly the best network in NZ currently from a technical POV when it comes to data performance. Where it falls down is Telecom’s data billing is terrible (my bill would tell me that I had “made 19 data calls” but wouldn’t tell me how many MB) and their rates are expensive. If they fixed the above a bit, I’d be tempted, even if it was a bit more pricy than 2degrees still. Ya…3G data usage is my only concern now, everyone around me has switched to 2degrees. I got 3GB of data each month, I dont use it up, but 100MB per month is not enough for me. And I reckon my data usage will grow as more and more services and apps use it. i.e. iText. Yeah I use around 300MB a month for my phone – so 2degreees works well ATM with their 1GB extra data for the next 12 months.